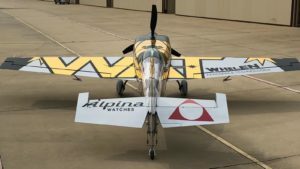 It’s only March and 2019 has already been a busy one for Goulian Aerosports: Team #99 jetted off to Abu Dhabi for the season opener of the 2019 Red Bull Air Race World Championship and continued their momentum from their outstanding 2018 campaign by clinching a podium finish; Michael Goulian and his wife Karin have been operating a blooming new company of their own: Mike Goulian Aviation, a Cirrus Aircraft Partner; and Goulian’s long standing sponsor Whelen Engineering announced an alliance that would allow the air show team a total rebrand and fresh new look. “For my team and I, 2018 was a dream season for both our race and air show teams. I knew it would be difficult to continue the great accomplishments from last year but looking at our most recent racing success in Abu Dhabi, combined with the exciting new WAT partnership, it looks like 2019 could be even more successful than last year”, Goulian said. With the merger of Whelen‘s Aviation Division and LoPresti Aviation, each global leaders in aviation lighting, a new company has formed: WAT, Whelen Aerospace Technologies. The new merger will build upon their combined strengths to manufacture the most innovative aviation lighting products possible. Read more about the merger here. Goulian celebrated the launch of WAT the only way he knows how: all out. The entirety of the team’s gear and equipment has been completely rebranded; but the most striking is surely Goulian’s beloved Extra 330SC aircraft, decked out in a completely new paint scheme. Goulian knew from day one who he wanted to lead the design process: Italian designer Mirco Percorari and his company AircraftStudioDesign set out to tackle the massive rebrand. 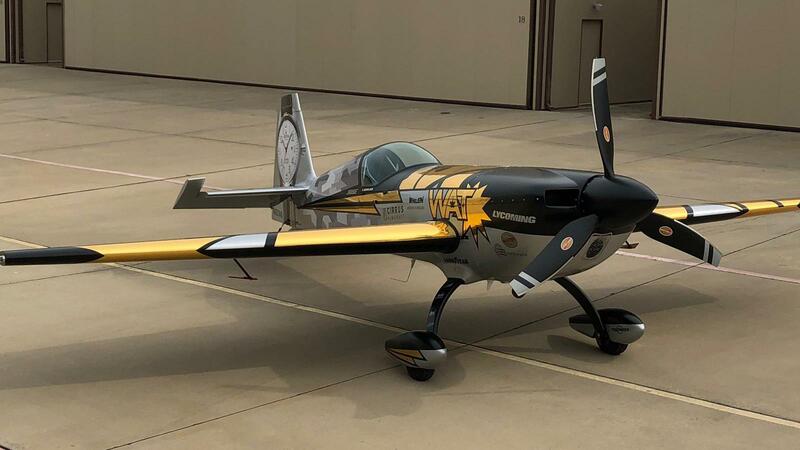 Goulian himself worked closely with Percorari on the aircraft design, and the result is nothing short of striking with a color scheme of attention-grabbing chrome yellow with a contrasting matte black. The same design theme resonates throughout – when you see the team at their air shows this summer, you will witness first-hand the dynamic designs of Percorari’s team. 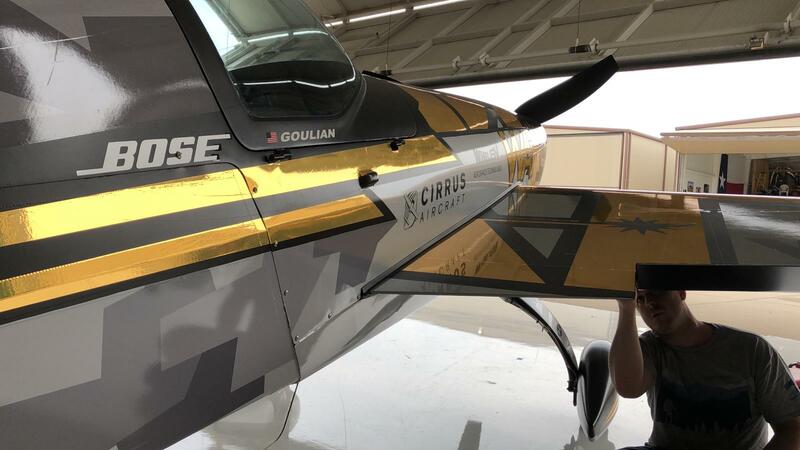 The team will debut their bold, new livery for Goulian’s first air show of the year: Sun ‘n Fun in Lakeland, Florida. Goulian takes the skies on Tuesday, Wednesday, and Saturday afternoon. Be sure to tune into LiveAirshowTV to catch the event’s live stream.